Google is celebrating 2012 london olympic with a new London 2012 Hockey doodle on its homepage. 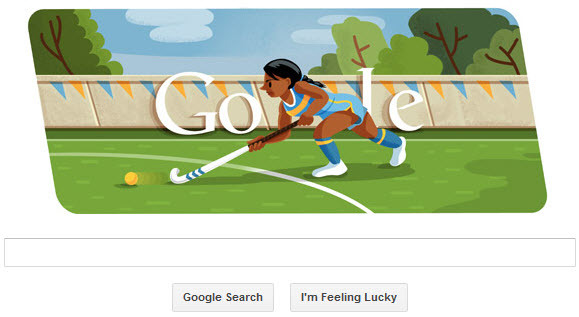 This google doodle shows a female player holding a hook-shaped stick playing on a hockey pitch. The London 2012 Hockey sports event started on the 29th of July 2012 and will be played until the 11th of August 2012. Men’s Hockey made its debut at the London 1908 Games and first women’s Olympic hockey competition was held at the 1980 Summer Olympics in Moscow.